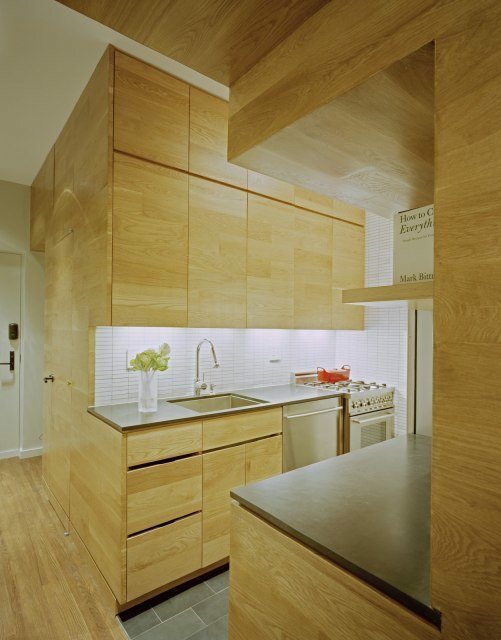 This 500 sq ft East Village apartment by Jordan Parnass Digital Architecture is a beautiful exercise in space optimization and cleanliness. The client who commissioned the apartment wanted a space where he could live and work and have storage space for his “many toys and quirky art pieces” (most of which seems to be stored away in these photos). 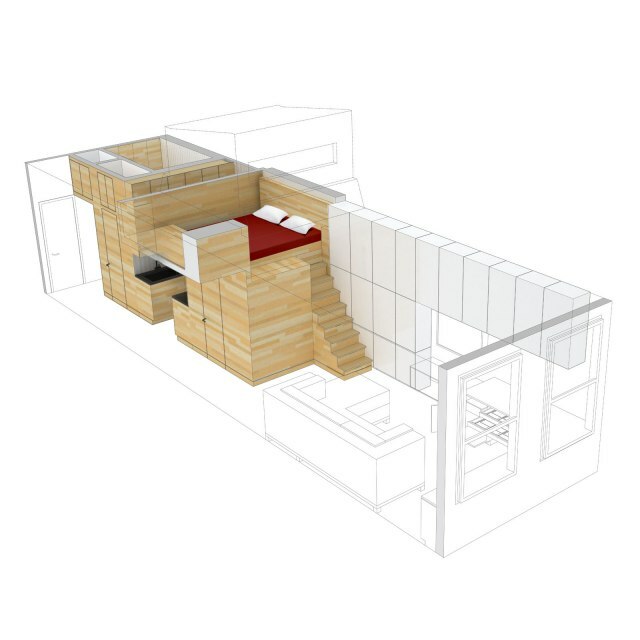 By far the most distinctive element of the apartment is its wood paneled “central service core” that houses the bathroom, kitchen, sleeping loft and ample storage. 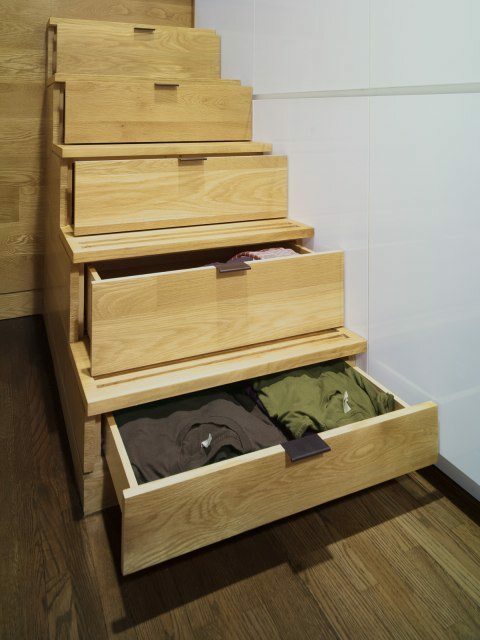 It transforms the otherwise conventional rectangular space (less the parascopic loft) into a mecca of storage and functionality. The living room area was designed to be “as flexible as possible” and features a wraparound counter workspace and ample wall storage. There is a decent sized floor space which the owner can set up in any way he/she sees fit. We applaud the choice of using the space for a big comfy-looking couch. While it uses a lot of volume, it makes the space infinitely more inviting and likely to be used. Other flourishes we like are the materials used, which lend the space a clean, but warm feel. The complete absence of clutter–surely helped by the tons of closed-off storage–makes the space look much larger than 500 sq ft. The apartment feels very luxe and custom and its roof portal is quite unusual. 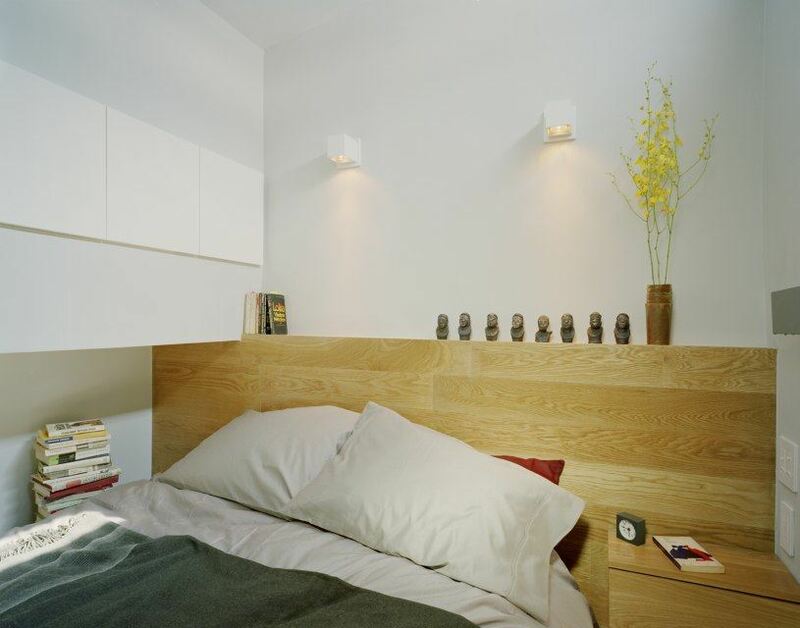 But we could see many elements like the creative storage spaces and smart use of materials and textures being applied to projects with more modest budgets and conventionally-shaped spaces. 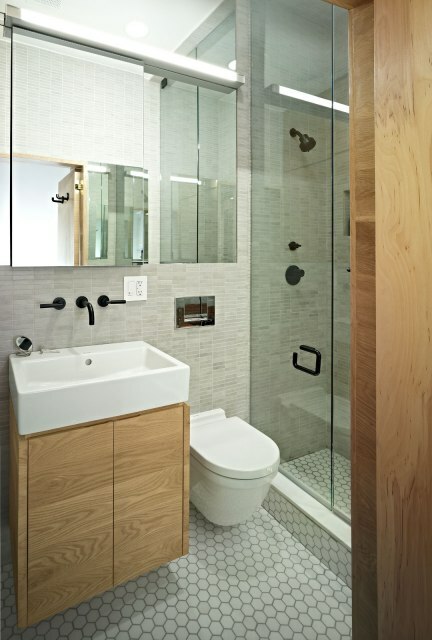 I love the large bathroom sink and wonder if the vanity is counter height or normal height? 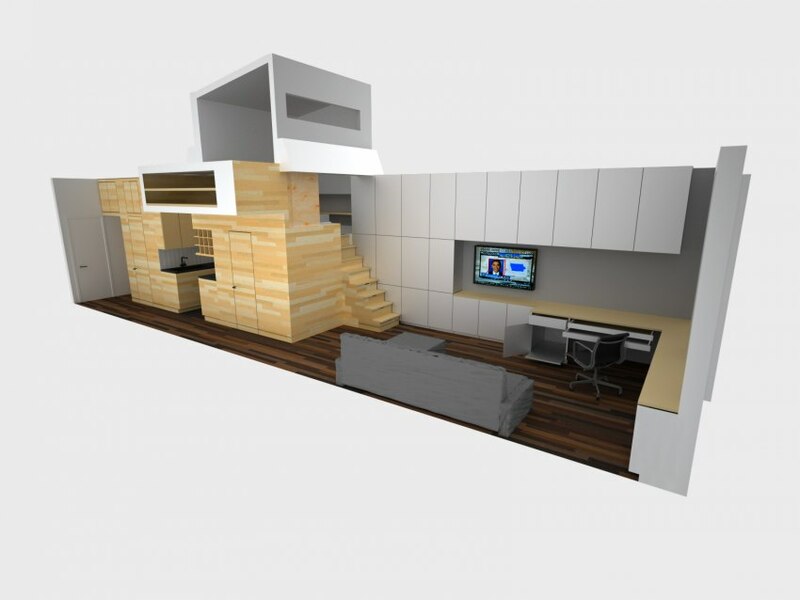 That is a thought breaking design you have there, to think of a way to create a room out of little spaces, thumbs up! It is just too hard to get a small tiny washer and dryer, and we don’t have expertise either to custom made them.. too bad..
BTW, may I ask, what is the 2 rooms with doors for? The two doors in the hallway on either side of the kitchen are to closets. The one under the bedroom loft is a walk-in closet and the other is a small coat closet.